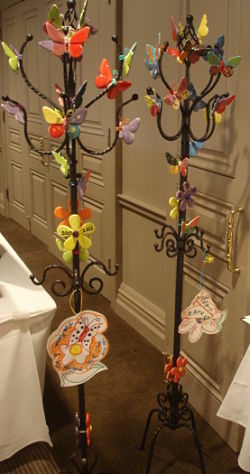 100+ kid-created items that sell for top dollar in benefit auctions. When it comes to big bids at your auction, hand-crafted artsy items – especially those made by children – can be some of your highest sellers. Ever notice how much more you’re willing to pay for something when you’re emotionally attached to it? When it comes to big bids at your auction, hand-crafted artsy items – especially those made by children – can be some of your highest sellers. School auctions use this emotional tie to great advantage. A school will have a class or grade work together to create a single art project that sells for hundreds – or even thousands of dollars – at the auction. 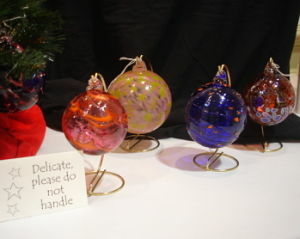 The parents fall in love with their child’s work and bid against others to buy it. The quality of the project can dramatically affect the sale price. Offering an original, attractive project is key, but it can be a struggle to think of something. Selling the same thing year after year isn’t ideal for sales. It also makes your auction boring to browse. And it’s certainly boring for the adults leading the effort. 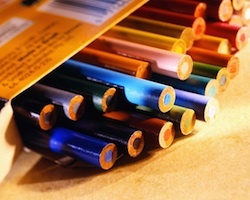 This webinar offers you loads of ideas for projects to counter boredom. Whether you’ve been selling projects for years or are just getting started, you’ll discover rare finds. The Companion Guide (98-pages). 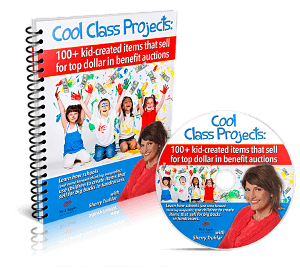 This includes a hard-copy of the slide show with 100 ideas and photos, 25 additional ideas of projects you could create (these don’t have photos, but you’ll get clear descriptions), AND a vendor list of companies often tapped to do the final assembly of these class projects. Are projects hard to create? Should we do them? Have you ever put together a puzzle and not had the box top photo showing the finished picture? It can be a nightmare experience … long and painful. But when you’ve got a photo to serve as your guide, you’re off to the races! Everyone is on the same page, in an instant. Design time is cut in half. Deciding which project is most suitable is a quicker process. It’s easier to get volunteers to lead the project because – with a photo – the idea isn’t so esoteric. That’s the beauty of having a bunch of ideas to select from. It’s not about trying to describe what you want to do … it’s about showing someone a photo. Is this DVD for you? This webinar is outstanding if you’re running a school auction (Pre-K through 8th grade). It will also be worth it for a nonprofit that partially or exclusively offers services for children — it can open up a brand-new revenue stream for you. This webinar is not ideal for high school auctions that usually don’t offer class projects, or for nonprofits with no services (or few services) benefiting children. I’ve just don’t recall many projects — even the most an unappealing ones — selling for much less than $100. And in this webinar, you’ll get over 100 ideas. But seriously, I couldn’t charge $12,500 or $1600, even though a school could easily raise well OVER $1600. …for the value price of $97. In essence, the course pays for itself with one new project idea.